A standard Tune-o-Matic bridge on the front and a Stop-bar tailpiece on the end give this electric model some additional sustain that Epiphone's guitars are famous for. 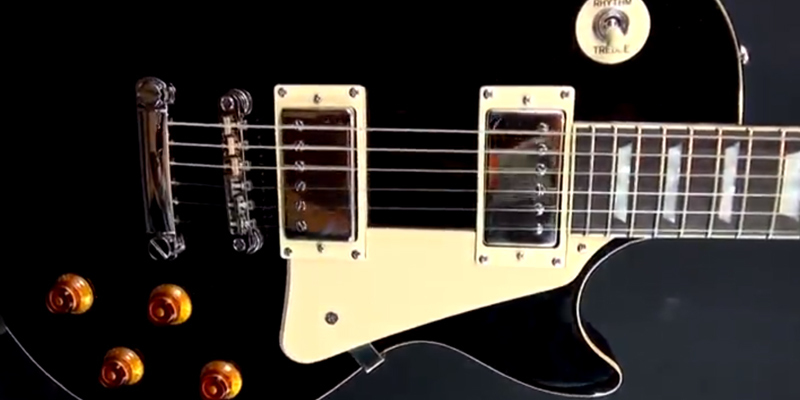 High-output Alnico Classic Humbucker pickups provide a rich and vintage sound. 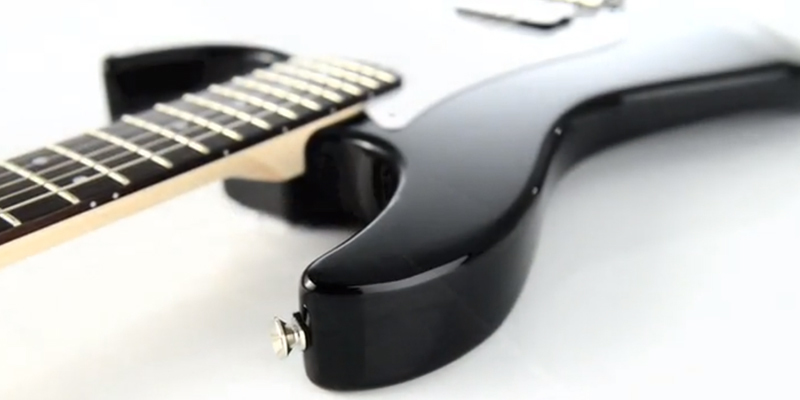 Some users complained that the neck pickup sounds a little bland. If you're a lefty looking for an electric guitar that resembles the one that the absolute legends of the music industry used to rock with, the Epiphone ENSLEBCH1 is exactly what you ought to be looking for. The electric guitar features a 3+3 tuners arrangement on the headstock, 12" fingerboard radius and 22-fret fingerboards that all classic Les Paul models are famous for. The instrument is also matched with a chrome hardware. Needs a little setup attention to rectify string buzz in the high positions. The Cort M200WS balances well on a strap, and its loud, brash voice is as aggressive as a freshly sharpened chainsaw making it a perfect choice for those customers looking for a particularly powerful model. 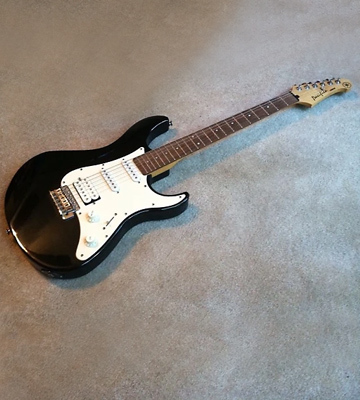 This electric guitar comes with a solid Agathis body and a maple neck. A chrome-plated tremolo bridge on this model is secure, reliable and incredibly player-friendly. All of the pickups are installed in an H/S/S configuration. The strings are too far away from the fretboard when you buy it stock, so you have to lower them a bit before getting fret buzz. If you're looking for a model that represents the best balance of the quality of sound and functionality, the Yamaha Pacifica 012 is the one that will definitely catch your attention. The model comes with a built-in Cherub GT-2 tuner that proves to be an indispensable addition making tuning as you play easy and efficient. You also possess the option of adjusting the bass, middle and treble in order to produce a personalised sound with the Cherub three-band EQ. The model goes out of tune very frequently so needs to be re-tuned a lot. The Tiger Music Sunburst is one of the best choices for those that are just looking to get started in the world of rock, blues, jazz or country and don't necessarily have a specific preference when it comes to guitars. You will have the ability to play a plethora of distinct notes thanks to the guitar’s three single coil pickups, two tone controls, one volume control, a 5-way pickup selector switch, and a tremolo bar. The included 20W amplifier with 3 band equalizers is a perfect additional piece of equipment for practice and home performances. The amp has no separate mic input. If you do not possess unlimited financial means but are still looking to make your mark in the world of music, the RockJam Full Size Electric Guitar Superkit is an absolute must-have for you. 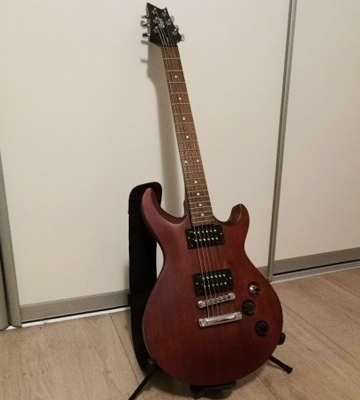 To the people that aren’t very well-versed in the world of electric guitars, the particular model from this company may seem like one of the more ordinary musical instruments. Well, sure, it looks nice, owing a certain kind of attraction to its peculiar design, but it doesn’t necessarily scream power or performance the way some of the other models tend to do. And while that isn’t entirely an incorrect statement if you look at it from a certain way, something that may escape the eyes of an individual with a limited knowledge in this particular area is what exactly this guitar represents. 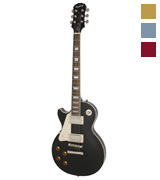 Although Epiphone is one of the most well-respected musical instrument manufacturers in the entire world that have created and produced a plethora of impressive original models, this particular guitar is part of the Epiphone Les Paul line that produces more modestly priced versions of the famous Gibson Les Paul. And if that name somehow doesn't ring any bells with you, Les Paul is one of the most renowned electric guitar types in the world and the list of rock, jazz, blues, and metal legends that used to perform mostly using one of the Les Paul models includes but isn't limited to Jimmy Page, Slash, Eric Clapton, Bob Marley, and, obviously, Gibson Les Paul himself. 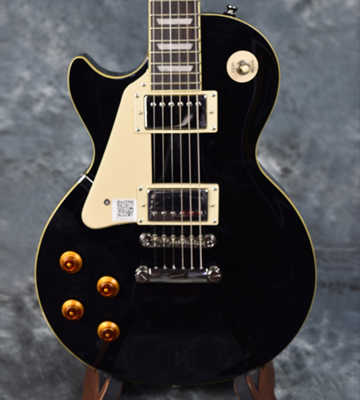 So by purchasing the Epiphone ENSLEBCH1 Les Paul, you aren't just acquiring a quality piece of technology that Epiphone is renowned for, but you're also getting that much closer to possibly one of your idols with a Les Paul electric guitar. The Epiphone ENSLEBCH1 isn't just a regular professional electric guitar with a Les Paul model but a part of Les Paul Standard line that stands by its name truly setting a standard by which all other Les Paul models can and should be measured. And since this one is made by Epiphone, it also shows other six-stringers of this company what a real electric guitar is supposed to be like. The model comes with a solid, single-cut body made of mahogany wood and a plain maple top. The top panel is bound in creme binding and covered with an elevated plastic pickguard. 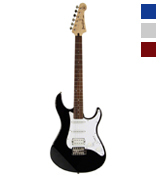 This particular guitar is available only in a black color scheme with a high gloss finish. As you would expect from the name of the model, the bridge section features a standard Tune-o-Matic bridge on the front and a Stop-bar tailpiece on the end that gives this electric model some additional sustain that Epiphone's guitars are famous for. The rich, vintage sound of this device is provided by a pair of high-output Alnico Classic Humbucker pickups installed on the front. 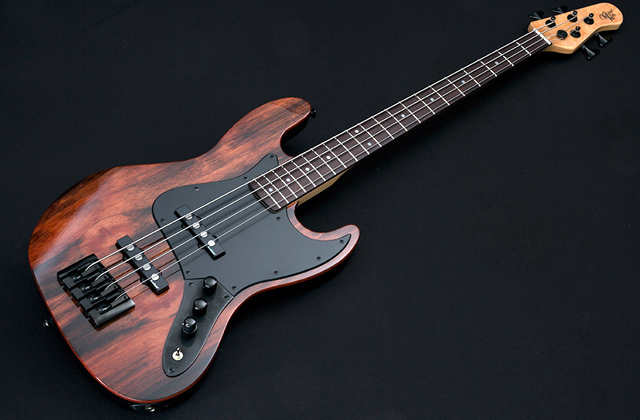 Set mahogany neck sports the classic '60s contour in the back and it's topped with a 22-fret rosewood fingerboard. So if you're looking for an electric guitar that resembles the one that the absolute legends of the music industry used to rock with, the Epiphone ENSLEBCH1 is exactly what you ought to be looking for. Mick Jagger, lead vocalist, guitarist and a songwriter of this little known English rock band called The Rolling Stones, used to share a sentiment in one of his hit songs based on the premise that you can’t always get what you want. And for anyone that has ever experienced some hardships in his life that’s an idea that is hard to argue with. No matter how hard you work towards a certain goal or regardless of how talented you may be in a particular area, sometimes Lady Fortune just refuses to smile your way. Some people take it as a sign that they need to work harder and be more persistent and determined while others may see this kind of turn of events as a certain proof that they should probably give up on the goal they were trying to achieve and focus their energy on something else. Although nobody can very well say that any one of these approaches is inherently right or incorrect since everyone’s life is unique, you may want to listen to the next verse of this famous song: “But if you try sometimes you might find you get what you need”. And the way most people interpret these words is that while the task at hand may definitely seem alluring, there’s a good chance you will find what you actually need is not a thing or a person at the end of your campaign but rather something or someone you find along the way. So while the Cort M200WS may not be necessarily something you always wanted or the model that you have been looking for when you decided to purchase one, there’s a rather strong possibility that the instrument at question is exactly what you need and will suit your purposes to a tee. 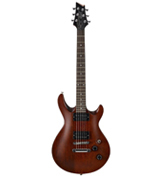 The Cort M200 has been humbly described by guitar enthusiasts as the gateway model of the M series. This particular series is developed for those electric guitar aficionados who love the Les Paul in a double-cut variant and offers a modern rendition of this timeless design. The model's 24-3/4" scale, set in neck joint (on upscale models), 3+3 tuners arrangement on the headstock, 12" fingerboard radius and 22-fret fingerboards can more than attest to that comparison. The M200 is a stylish, bolt-on-neck double-cut guitar with mahogany body and maple neck that features all of the essential elements of what a dual-humbucker solid body electric guitar is supposed to look like. Cort offers this six-stringer in three colour options, with this particular one featuring an alluring Walnut Satin finish. The model is also matched with a chrome hardware. 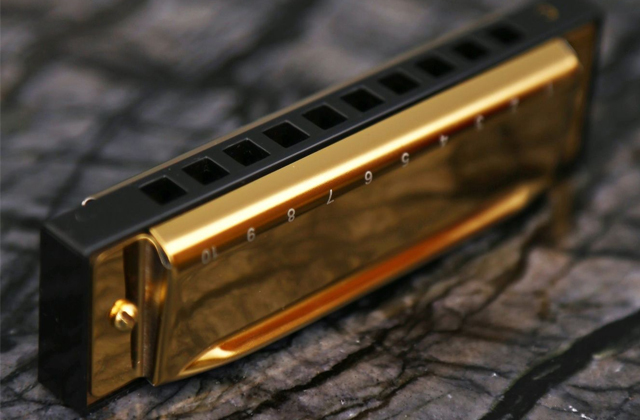 Tune-o-Matic bridge comes with a stoptail bar and with a pair of Cort's own humbucking pickups. Set in maple neck is topped with a 22-fret fingerboard made of rosewood. The Cort M200 balances well on a strap, and its loud, brash voice is as aggressive as a freshly sharpened chainsaw making it a perfect choice for those customers looking for a particularly powerful model. An electric guitar is a piece of musical technology that may seemingly serve a singular purpose but nevertheless represent a variety of different ideas and principles and generate dissimilar associations in everyone's mind. 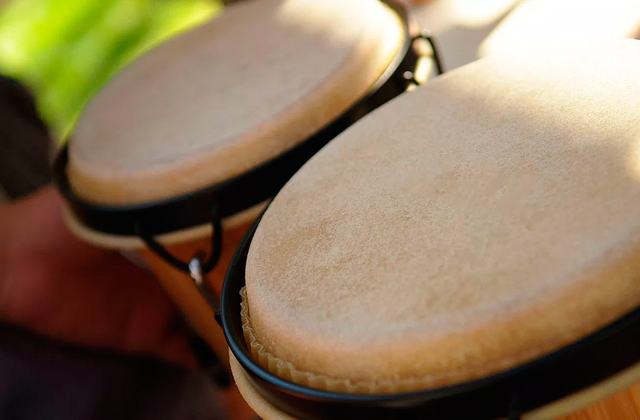 Naturally, one of the first things that come to mind to a considerable group of people when they think about this instrument is the ability to create music. Although an electric guitar is one of the most versatile musical instruments in the world, at the end of the day its purpose is to create pleasant sound organised in time. But this kind of basic definition may seem overly restrictive to the kind of people that would suggest that a guitar for them represents something much more profound and metaphysical than that. Some of them would even go as far as to claim that an electric guitar symbolizes freedom and gives them an ability to unchain themselves from certain limits and boundaries they face in their daily life. While others may suggest an idea slightly less grandiose but still ever so interesting that manifests itself in the theory that an electric guitar provides these individuals with the means of intellectually and spiritually connecting with the legends of the music industry through performing their hit pieces. At the end of the day, everyone has a different reason for their fascination with electric guitars and a different philosophy that the aforementioned musical instrument represents for them. Nonetheless, regardless of your reasoning, we can guarantee that the Yamaha Pacifica 012 is a kind of model that will be able to prove itself a worthy addition to your collection. The Yamaha Pacifica 012 is part of the Pacifica series that acquired it's absolutely ridiculous popularity thanks to the fact that it isn't just another Stratocaster clone series, but instead, it is Yamaha's original take on the classic double-cut design. 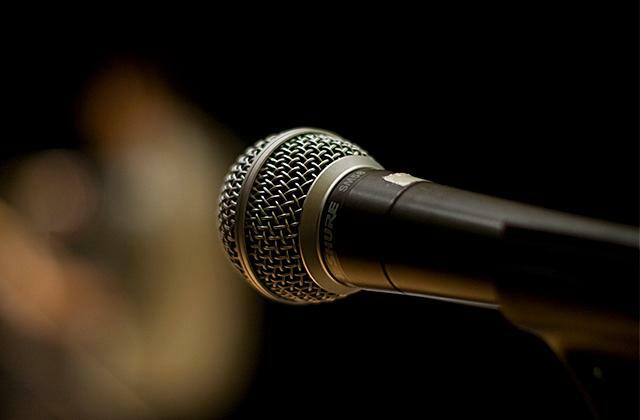 For the most part, these models are best suited for jazz, rock, blues and fusion bands, but occasional hard rock, latin and vintage rhythm and blues won't be enough to present these models with an overwhelming challenge. This particular electric guitar comes with a solid Agathis body and a maple neck. The model is available in Black, Dark Blue Metallic, and Red Metallic colours, with all of them featuring a glossy finish. A chrome-plated tremolo bridge on this electric guitar is secure, reliable and incredibly player-friendly. All of the pickups are installed in an H/S/S configuration. All three of them are passive and have a basic controls unit. 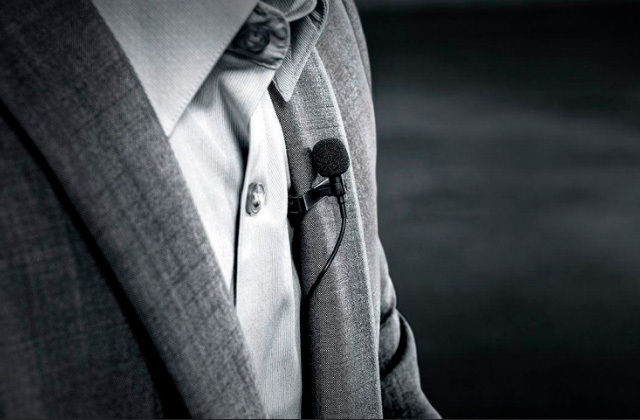 The model comes with a master volume, master tone, and a five-position blade switch. Its Bolt-on maple neck is topped with a 22-fret rosewood fingerboard. Since the electric guitar in question is a Yamaha, you will find Die-cast Yamaha tuners sitting on the unpainted headstock. If you're looking for a model that represents the best balance of the quality of sound and functionality, the Yamaha Pacifica 012 is the one that will definitely catch your attention. Although we don't necessarily condone this kind of overly narrow and reductionist definition, at the end of the day a guitar is essentially a musical instrument and a product. 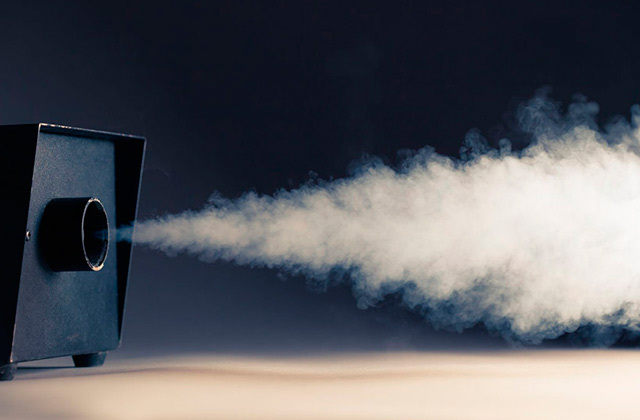 Therefore, just like any product, it has certain functions, features and design solutions that you may have to sacrifice for some other element since no product is without its fault. And so every guitar enthusiast has his part of a guitar that he prefers and cherishes over any of the remaining ones. Some lean towards paying the biggest amount of attention to the more technical characteristics of this instrument like the quality, presence, and placement of pick-ups, volume knobs, tone knobs, different types of switches and output jacks. Others tend to first and foremost consider the kind of body style that the electric guitar features. Solid body guitars are sturdy and heavier, made of a single piece of wood. Since they come without a resonance chamber, solid-body guitars ought to be played through amplifiers. Hollow body electric guitars are, as their name would imply, hollow on the inside of the body. These types of instruments are popular in the jazz community, producing a warm and deep mid-range, and they generally tend to work best with mellow, low-volume amplifiers. 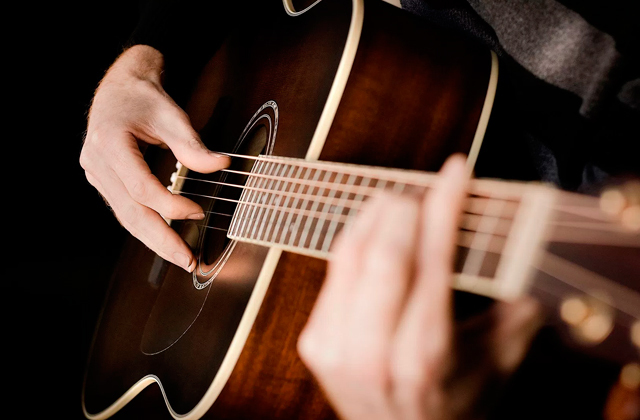 Electric-acoustic guitars look essentially the same as acoustic guitars, but feature pickups that allow them to be played like electric guitars. Last but not least, some simply prefer guitars that were played by their most beloved and respected musicians. 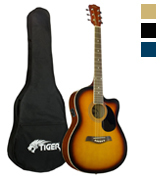 Whatever it is you look for in a guitar, there's a good chance you will find it present in the Tiger Music Sunburst. 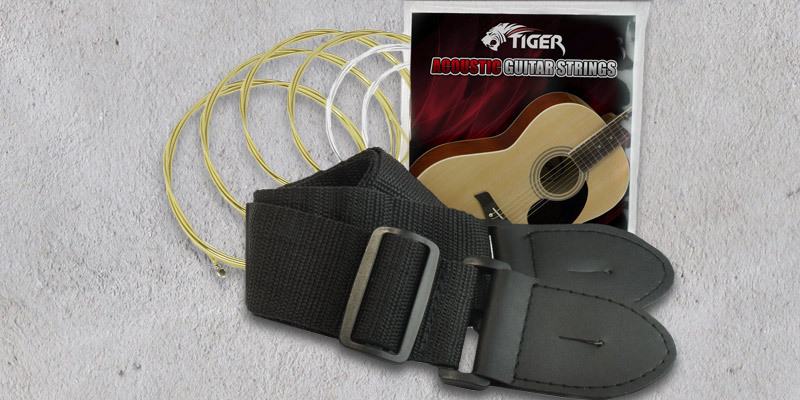 The Tiger Electric Acoustic Guitar Package is a perfect starter pack for beginners and experienced players alike that comes with all the necessary accessories included. What you're getting is not just a good electric acoustic guitar, but a package including a nylon gig bag, guitar strap, and spare guitar strings, which is pretty much everything a guitarist needs in order to get started. The Electro-Acoustic Guitar by Tiger features a spruce top with linden back and sides, presenting a sharp and slick-looking finish. The model comes with a built-in Cherub GT-2 tuner that proves to be an indispensable addition that makes tuning as you play easy and efficient. You also possess the option of adjusting the bass, middle and treble in order to produce a personalised sound with the Cherub three-band EQ. The phase button gives you the ability to generate a fuller, warmer and well-balanced tone. Thanks to the classic cutaway structure, the Tiger Electro Acoustic Guitar makes it possible to reach the higher chords on the fingerboard with exceptional comfort making it if not the best electric guitar for jazz, then certainly one of the better electric acoustic models. All in all, the Tiger Music Sunburst is the best choice for those that are just looking to get started in the world of guitars and don't necessarily have a particular preference. You probably weren't born yesterday and by this point, there's a good chance you reckon you have already seen every kind of fandom and a sufficient number of people being more than interested in a certain area to know what real enthusiasts look like. Well, you may be going to have to hold your horses before you witness the kind of passion some of the guitar aficionados hold towards their favourite musical instruments and everything that relates to or surrounds them. To a huge number of these people, a guitar isn't just a musical instrument but something that defines them as a person and often represents their way of life. So it doesn't come as a surprise that with this kind of passion a lot of them are willing to sell their last shirt in order to get their hands on a new guitar or get a hold on one of the countless number of accessories relating to them. Problem is, no matter how passionate you are, sometimes you simply just don't have the means to sustain your interest. An electric guitar itself can prove to be a more than expensive acquisition and that's without putting into consideration the cost of all the necessary accessories like amplifiers, tuners, strings, and straps. So if you wouldn't necessarily describe yourself as a fat cat with deep pockets, purchasing all of it can prove to be the kind of challenge one doesn't easily overcome. Fortunately for you, RockJam with their super kit that includes a 20W amplifier, a digital clip tuner, and an electric guitar bag alongside a great electric guitar itself will be able to solve that issue for you for less than a hundred pounds. The RockJam Full Size Electric Guitar Superkit is a perfect choice for those customers that know exactly what they want but simply do not have the means of acquiring an expensive electric guitar and a variety of overpriced accessories. 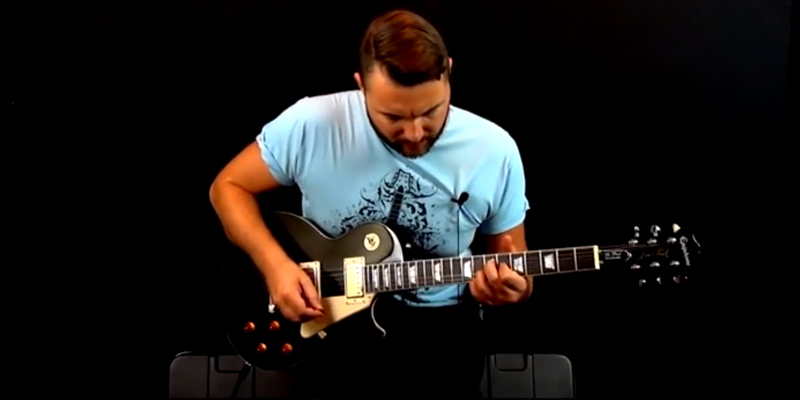 This Super Kit is an all-in-one package that allows musicians to start playing immediately meaning that this device could also be described as the best electric guitar for beginners. This gorgeous model is constructed from a lightweight maple neck and includes a smooth, rosewood fretboard that ensures a satisfying and convenient playing experience. 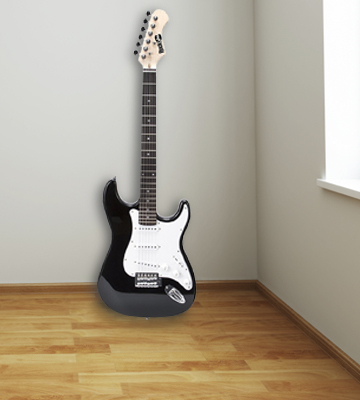 The model features a basswood body with a high-gloss, diamond black finish. You will have the ability play a plethora of distinct notes thanks to the guitar’s three single coil pickups, two tone controls, one volume control, a 5-way pickup selector switch, and tremolo bar. The included 20W amplifier puts you in charge of the sound with 3 band equalizers making it the perfect additional equipment for practice and home performances. The tuner gives you the ability to tune any instrument making sure that you play your best, and the capo easily clips on to the guitar so you can raise its pitch and play in a different key while using the same finger positioning. You may not necessarily describe this model as the best electric guitar but if you do not possess unlimited financial means but are still looking to make your mark in the world of music, the RockJam Full Size Electric Guitar Superkit is an absolute must-have for you. There's a multitude of different musical instruments out there but very few can rival the popularity of a guitar. 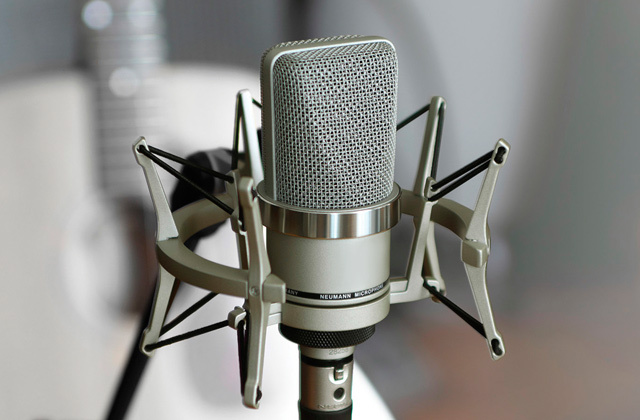 And although a regular acoustic one is a great instrument in itself, it can hardly hold a candle to its electric counterpart when it comes to producing powerful and rich sounds. Not unlike an acoustic version, an electric guitar is a fretted stringed instrument with a neck and body. But instead of a hollow air cavity, electric guitars use transducers — called "pickups" — to convert string vibrations to an electric signal, which is then sent to speakers that amplify the signals and turn them into the sounds we hear. Electric guitars have thinner, solid bodies without sound holes. Because of that, the body of an electric guitar does not transmit and amplify the sound of its strings when they are strummed. 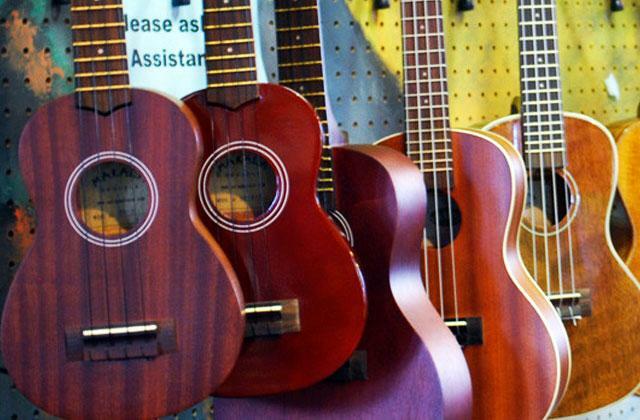 If you're looking for a handy musical instrument and an electric guitar seems like a bit too much for you at the moment, you might want to take a look at our pick of 5 best ukuleles. One of the first things to pay attention when purchasing an electric guitar is what style of music you are looking to play. 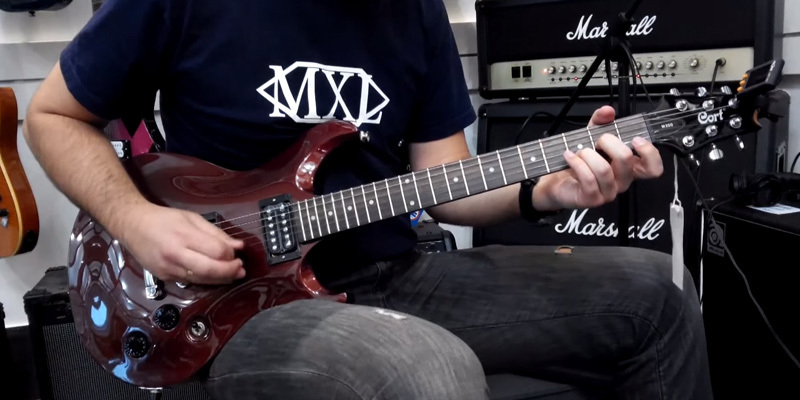 If you're looking to play some of the more intense genres like rock and metal, you may want to take a look at a solid body guitar. If you're more interested in playing a slightly more mellow music generally found in jazz and blues, a hollow body electric guitar or an electric-acoustic one will suit you better. One of the more important parts of an electric guitar responsible for the style and quality of the sound is the aforementioned pickup since he's the one that converts string vibrations to an electric signal, which is then sent to speakers that amplify the signals and turn them into the sounds we hear. Most pickups could be classified into two categories - active and passive ones. Active pickups are more popular among bass guitars and the vast majority of well-known electric guitar models have passive pickups. The most popular types of passive pickups are single-coils, double-coils, and humbuckers. All magnetic pickups contain a coil of wire wrapped thousands of times around a bobbin or coil-former. Single-coil pickups include one of these structures, and double-coils have two of them. Humbuckers were created by combining two single-coil structures into one pickup, wiring them out of phase and with their magnetic poles oriented in opposite directions, cancelled-or “bucked”-electrical hum. The two coils increase the output of the pickup and also roll back some of the higher frequencies resulting in a richer, warmer and more powerful tone. Although the sound of an electric guitar comes from a pickup, they can be changed out, customised, and upgraded. So it is no less important to pay attention to the type of wood your guitar is made of and the form of your musical instrument. Most guitars are constructed using maple, mahogany, or poplar. Maple is the kind of wood you ought to be looking for if you want sustainability and bright appearance, while mahogany is what people that are looking for warmth tend to settle for. Poplar is a perfect choice for those that are mostly interested in a bright and crispy high-register tone. Although not every form of a guitar has its own unique name, most of them were modelled after a few most famous models and thus borrow their names from those models. The most popular forms include Les Pauls, Stratocasters, V-types, and Explorers. The last elements important enough to consider when it comes to electric guitars are bridges and tailpieces. These two items operate side-by-side in order to influence tone and playability. The bridge is fixed to the lower side of the guitar body. The strings are routed over it before ending on the body or on a tailpiece. Bridges are created with the purpose of compensating for varying string lengths, gauges, and metals, making sure that the strings remain in tune with each other. 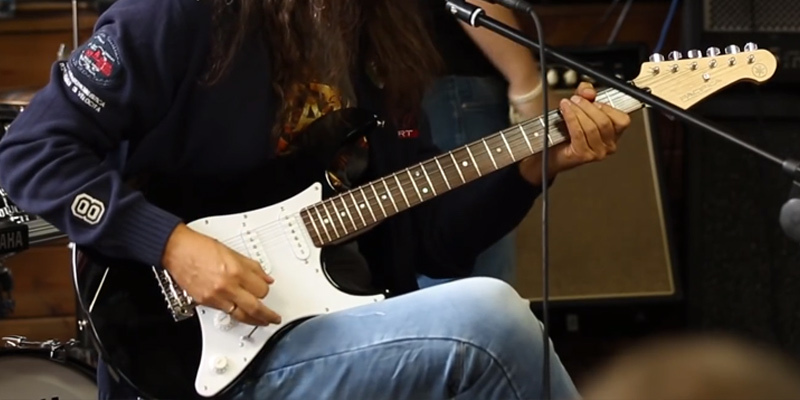 The most expensive electric guitar Fender "Reach Out to Asia" Stratocaster rumoured to cost Fender around 20 thousand dollars to produce and was sold for $2.7 million. Epiphone, originally a Greek violin company, had been producing and manufacturing banjos since 1923 when they decided to switch to guitars in the 1930s making them the only banjo company to successfully switch to guitar production. Jimi Hendrix's tombstone has a Fender Stratocaster carved into it. In 1948 Les Paul happened to get into a car accident and asked his doctor to set his arm permanently in a position that would allow him to play guitar. In 1950, Leo Fender decided to test the strength and durability of his guitar necks by balancing the neck between two chairs whilst standing on top of it. You reckon you have strong feelings towards your guitar? 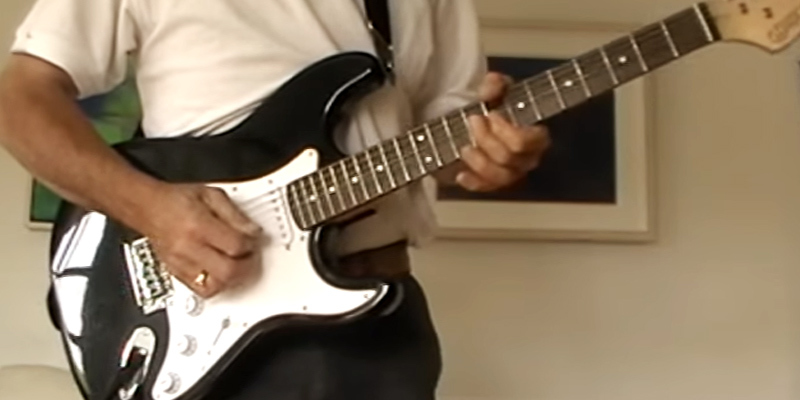 Well, think twice since you may be an amateur compared to an Englishman by the name of Chris Black that actually married his Stratocaster in 2001. Before the development and introduction of the electric guitar and the use of synthetic materials, a guitar was described as a musical instrument consisting of a long, fretted neck, flat wooden soundboard, ribs, and a flat back, generally including incurved sides. While many people would categorize a guitar as a string instrument, this particular piece of music technology is technically classified as a chordophone which is a group that includes every musical instrument that creates sound by way of vibrating strings or just strings stretched between two points. Although the development of the earliest guitars is lost somewhere in the history of medieval Spain, two instruments are commonly cited as their most influential predecessors, the European lute, and the four-string oud. Guitars can be divided into two broad categories, acoustic and electric guitars. A lot of enthusiasts tried to experiment with electrically amplifying the vibrations of a string instrument, some of them dating back to the early part of the 20th century. Patents from the early years of that century display telephone transmitters being adapted and placed inside violins and banjos to amplify the sound. With a ridiculous number of people experimenting with electrical instruments in the 1920s and early 1930s, there are a lot of them claiming that they were the first to invent an electric guitar. Electric guitars were originally designed by acoustic guitar makers and instrument manufacturers. Some of the earliest electric guitars adapted hollow-bodied acoustic instruments and used tungsten pickups. The first electrically amplified guitar was designed in 1931 by George Beauchamp. It would be foolish to deny that an electric guitar is one of the most popular musical instruments in the world with over a million models sold every year for the past few decades. But why is it so widespread in the world of music? Well, there is a number of possible reasons that could explain this phenomenon. One of the most obvious ones would certainly be the fact that a regular acoustic guitar was an already popular musical instrument and so an electric version that was capable of amplifying and enriching the sound was doomed to repeat the success of its predecessor. Another possible explanation would be the fact that said musical instrument is capable of producing a large variety of different sounds making it the perfect device to fit into a multitude of styles of genres ranging from the mellow pop, blues, country and jazz to some of the more intense sounds of rock and metal. Last but not least, there's the fact that electric guitar designers take great pride in developing some of the coolest looking products making them extremely attractive to a range of potential customers. Q: What is better to buy - an expensive electric guitar or an expensive amplifier? 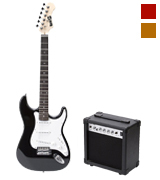 A: If this is your first guitar or your first amplifier, neither one would probably be the wisest choice. 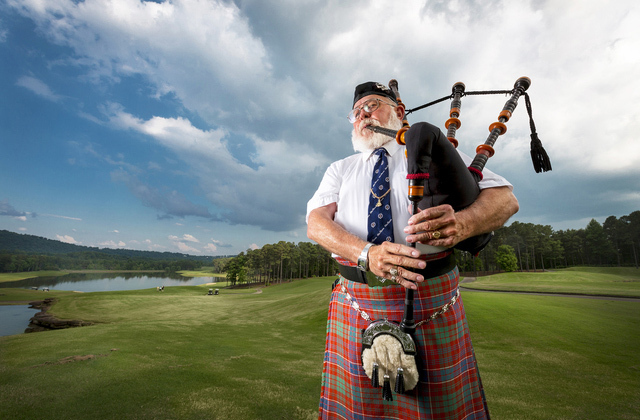 What you ought to be going for is finding the perfect middle ground for both of those aspects. Q: I purchased a Fender Stratocaster a few days ago and unfortunately realised that only the neck of the guitar was Fender while the body was not. 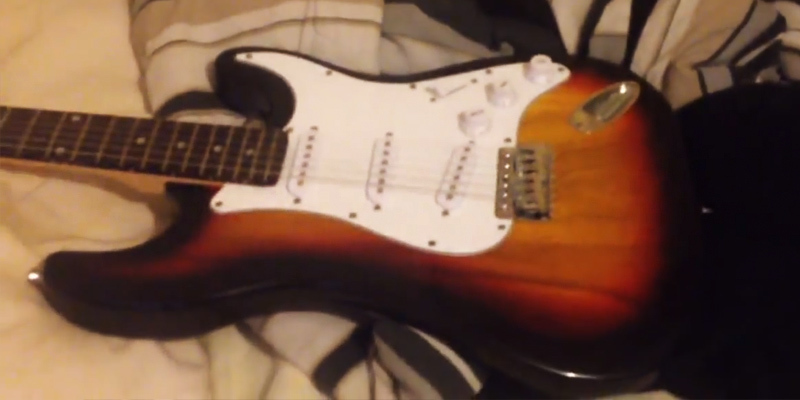 How can I figure out if the whole guitar is a Fender Stratocaster? A: What you should do in this kind of situation is to check cavities or remove the pickups or a scratchplate to look for stamps. There really isn't any other practical way to find out where the body comes from. Q: Could I be too old to learn how to play guitar? A: If being able to play an electric guitar is one of those skills you always wanted to acquire, we have some good news for you - there's a good chance you're not too old since most experts agree there's virtually no age limit when it comes to playing or learning to play the guitar. In fact, despite the popular opinion, the majority of people picking up an electric guitar for the first time tend to be in their late 30s and early 40s. At that age, many individuals are looking for the guitar to provide an outlet they don’t seem to find elsewhere in their life. 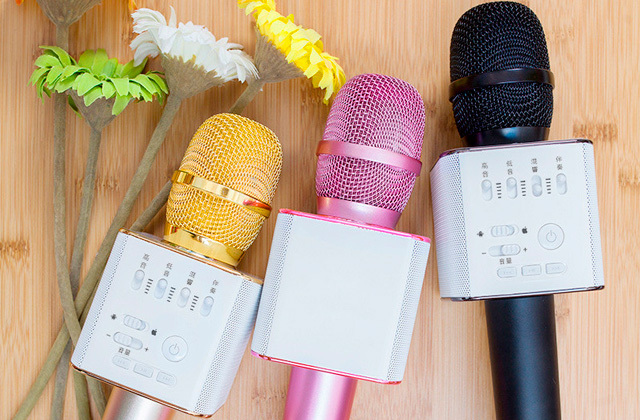 They have a job, they have kids, and they have a little spare time that they would like to spend by themselves acquiring a useful yet exciting new skill. So as long as you’re living and you have fingers, and you can move those fingers across the fretboard, you're more than capable of playing guitar. 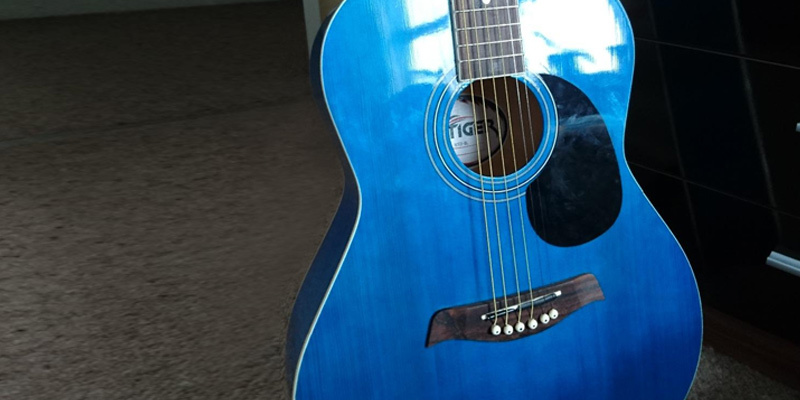 Q: Should I buy an acoustic or an electric guitar first? A: You should probably follow your heart and choose the instrument that inspires you. With that said, not every guitar is entirely similar and the majority of experts agree that electric guitars are an easier skill to pick up since acoustic ones are physically harder to play. The reason for that is the acoustic guitars aren’t amplified, they use thicker strings with higher tension, and the action, or the distance between the strings and the fretboard, is greater. Meaning that the beginner guitarists will have to press down harder, which can cause some difficulty. Q: When will my fingers stop hurting from playing guitar? A: If you just started playing an electric guitar and your fingers feel like they are in a sufficient amount of pain, don't worry. Virtually every guitarist’s fingers tend to hurt when they’re just getting started since most guitar strings are basically thin, hard pieces of metal. But after a certain period of time, fingers naturally tend to develop hard outer coatings to protect them. These are called calluses and this process will happen on its own, completely ending the pain that most beginners experience. 1. Electric guitar, Wikipedia. November 14, 2016. 2. How to choose an electric guitar, wikiHow. 3. Dan Orkin The Reverb Guide to Buying Your First Guitar, Reverb. November 12, 2014. 4. 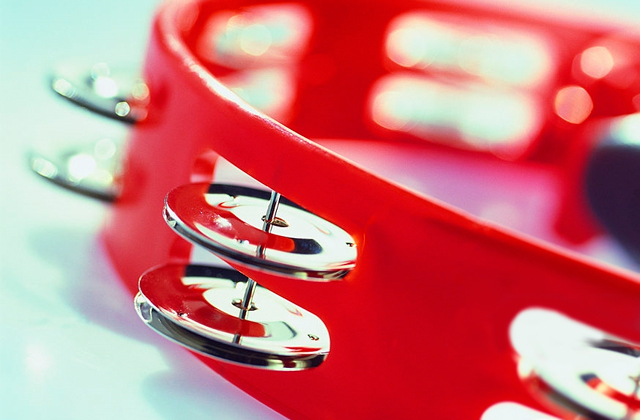 8 things you didn't know about electric guitars, PBS. July 24, 2015. 5. 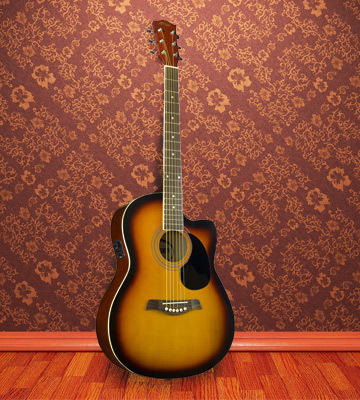 How Are Acoustic Guitars Different From Electric Guitars, Wonderopolis. 6. Electric Guitar Buying Guide, TheHub. July 3, 2017. 7. 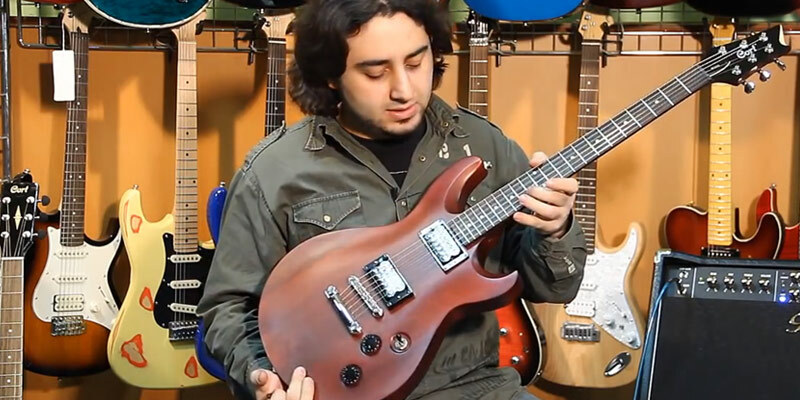 Most Expensive Guitars Ever Sold: The Top 10, Stringjoy. May 13, 2016. 8. Russell Hall 10 Great Left-Handed Guitarists, Gibson. July 14, 2008. 9. Joe A Guide To The Main Electric Guitar Pickup Types, DAWSONS. April 13, 2013.